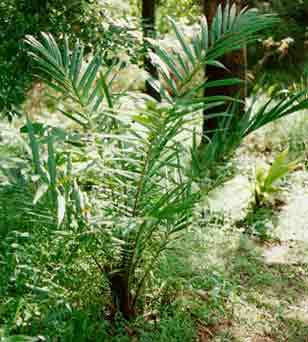 Description: A distinctive neat , palm that may be solitary or multi stemmed. There is evidence that two species may be involved. Attractive feature of bronze to reddish new leaves. A very ornamental palm with a pleasant appearance. Cannot be exposed to too much sun.